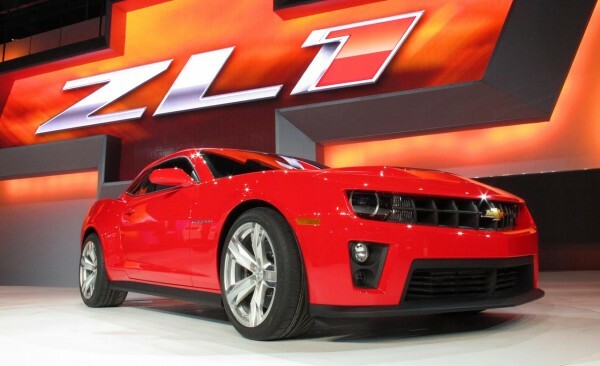 The 2012 Chevy Camaro ZL1 will run from 0-60 mph in just 3.9 seconds, on its way to a top speed of 184 mph when equipped with the six-speed automatic transmission. It boasts 580 horsepower, which is more than the Audi R8 GT, the Maserati Gran Turismo and the Mercedes-Benz SLS AMG. Better yet, Chevy tells us that the new Camaro ZL1 will start at $54,995, including its unique Performance Traction Management system and GM’s superb Magnetic Ride Control suspension. 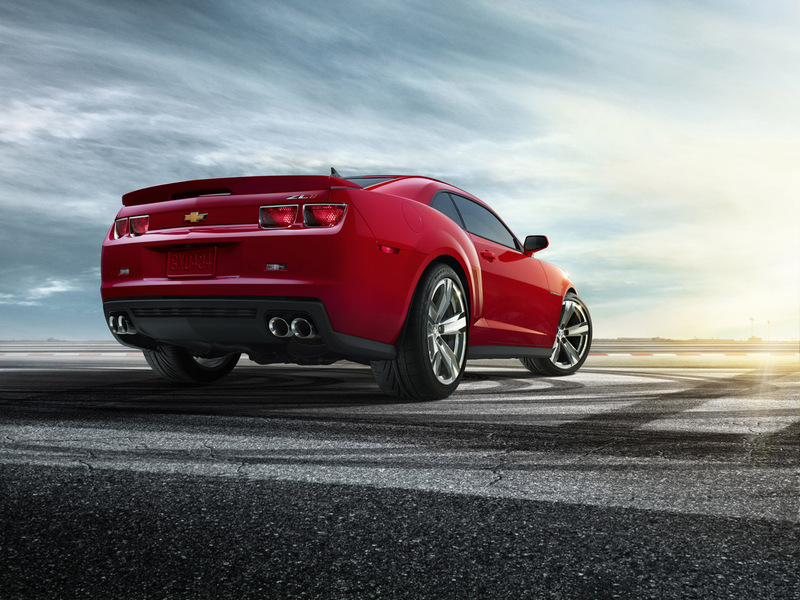 Since the ZL1 already comes well equipped, there are only six options available on the car. If you want the fastest ZL1, you’ll need to check the box by the six-speed automatic transmission, which will set you back another $1,185. Other options include 20-inch, bright aluminum wheels ($470), a power sunroof ($900), a stripe package ($470) a carbon fiber hood insert ($600) and an interior suede package ($500). As Chris Perry, vice president of global Chevrolet marketing points out: “There are very few cars at any price that can match the power, features and track-capability of the Camaro ZL-1.” To illustrate that point, Chevy compares its ZL1 to the 2012 Ford Shelby GT500, which isn’t nearly as well equipped for track duty as the Camaro ZL1. The problem is that a new 650-horsepower 2013 Shelby GT500 was announced today, and it’s got the Camaro ZL1 firmly in its sights. We’ll hold off proclaiming a “king of the pony cars” until we have a chance to drive both, but the Camaro ZL1 is facing a 70 horsepower deficit from a newly track-tuned Shelby GT500 before it even launches. We suspect that Ford guys will opt for the Shelby, while bowtie fans will gravitate towards the Camaro. 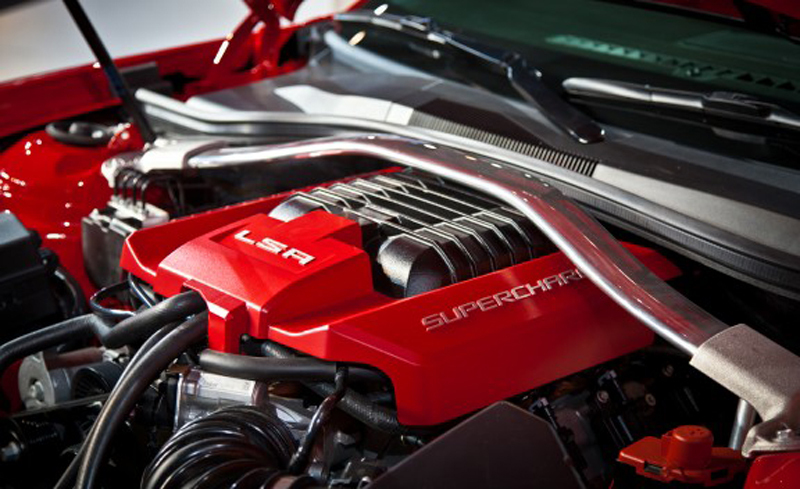 Even if Chevy can’t close the horsepower gap prior to the ZL1’s launch, they’ll surely do so within a year or two. It’s all about bragging rights, and Chevy won’t be happy until its high-end Camaro out-performs the Shelby GT500 on paper and on the track. Whatever you brand allegiance now is a good time to be a fan of horsepower.